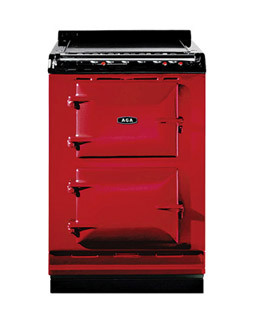 Aga, maker of ultra-fancy cookers that can cost $10,000 or more, recently introduced a more affordable model (hey, it's all relative): the $4,350 Companion, a cast-iron range with four gas burners and two electric ovens. At a slender 24 in. wide, it can fit almost any size kitchen and comes in 15 colors, including claret, pistachio, chocolate and three shades of blue. Click Where to Buy to find a dealer in your ZIP code.